Y’all, something amazing happen. 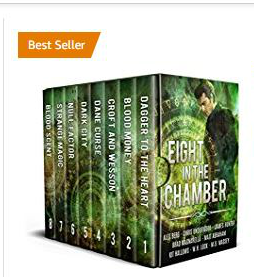 Well, not to bury the lead and from that screen shot up there- I am part of a box set that became a best seller! Which means…I’m a best selling author now! Frankly, I’m a bit gobsmacked about it. When I left the traditional publishing model, I pretty much put any idea of any sort of accolade like best seller. And I have only been doing this Indie publishing thing for just over a year. So, hitting a best seller list of any sort this soon is a bit if a shock. So I’m going to go crack another bottle of cheap California sparkling wine.